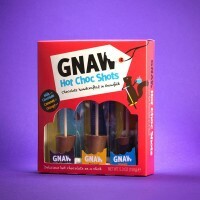 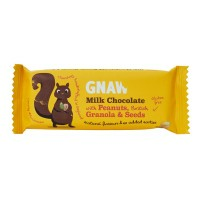 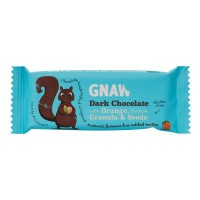 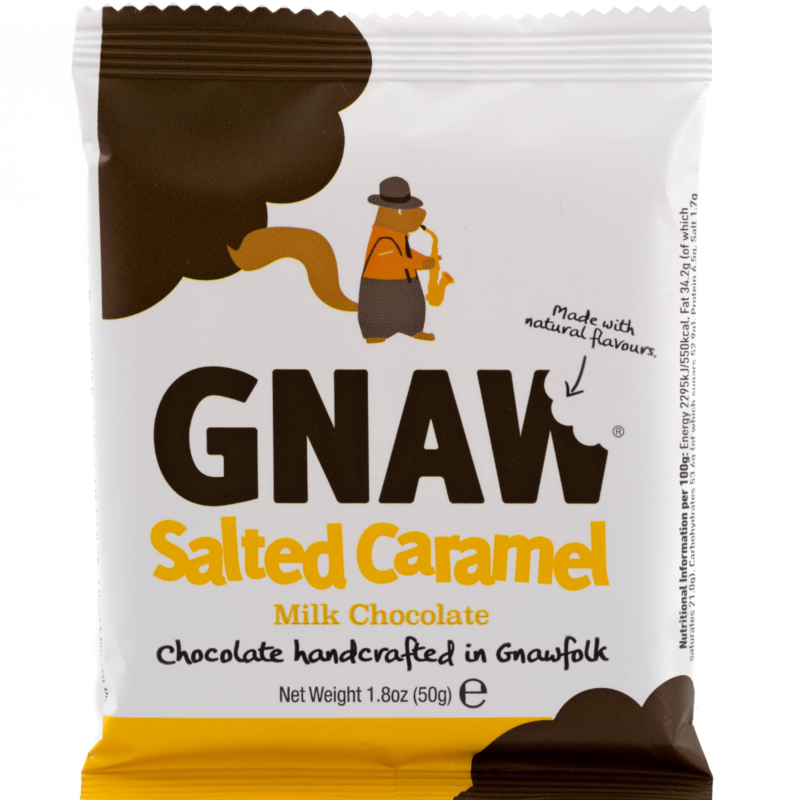 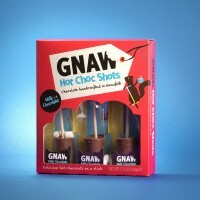 Gnaw Milk Chocolate & Salted Caramel Mini Bar 50g. 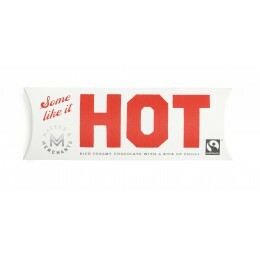 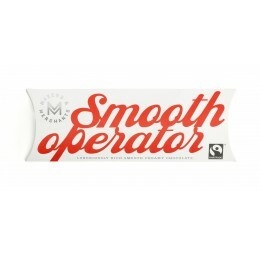 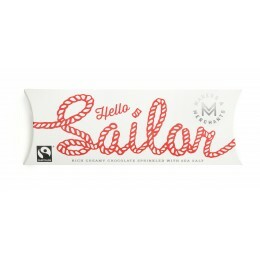 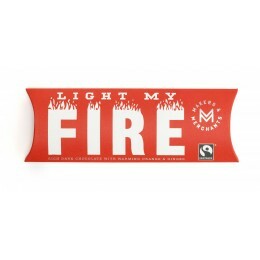 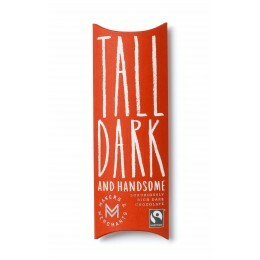 Tickle your taste buds with these caramel flavour Belgian milk chocolate with Maldon sea salt. 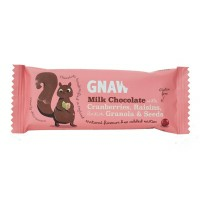 Ingredients: sugar, cocoa butter, whole milk powder, skimmed milk powder, cocoa mass, caramel powder (skimmed milk powder, milk proteins, sugar, butter (milk)), Maldon sea salt (1.5%), whey powder, lactose, emulsifier (soya lecithin), flavouring (natural vanilla, caramel). 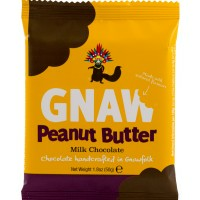 Nutritional Information per 100g: Energy 2295kJ/550kcal, Fat 34.2g, Of which saturates 21.0g, Carbohydrates 53.6g, Of which sugars 52.9g, Protein 6.5g, Salt 1.7g.